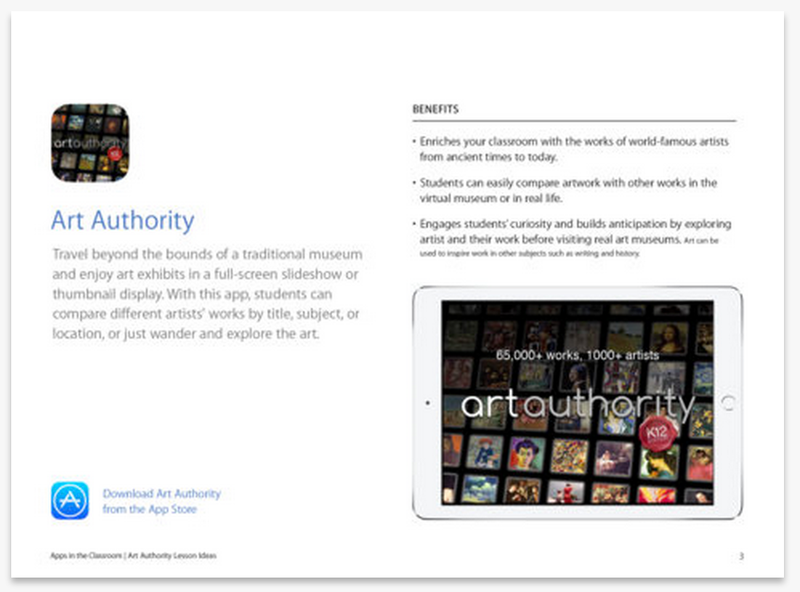 Art Authority enriches your class with over 60.000 works of arts from ancient times to today. It will also allow students to enjoy art exhibits in a full-screen slideshow or thumbnail display. Students can easily compare artwork with other works in the virtual museum or in real life. There are also several activities to engage students curiosity and help them explore some of history’s most famous works of art.